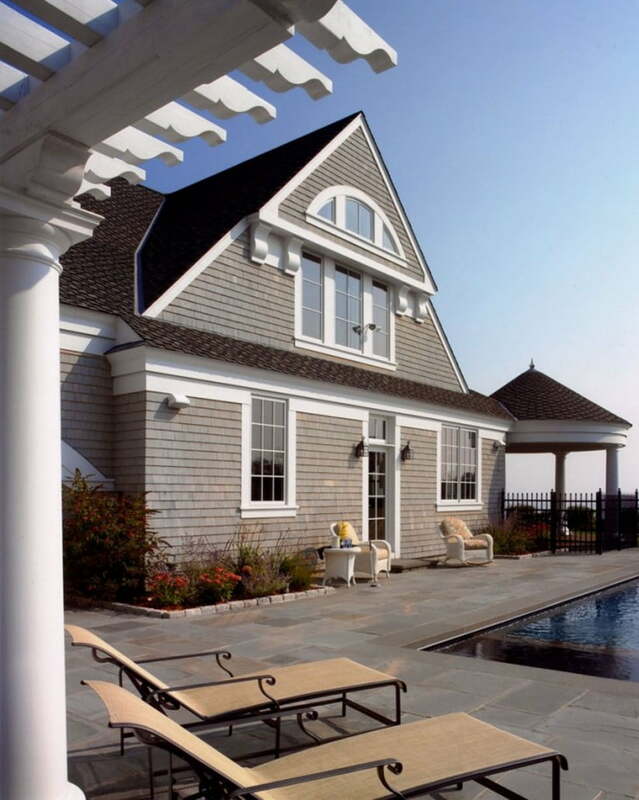 This large shingle-style residence is located a mere 80 feet from the Atlantic Ocean. Featured in the home are guest quarters, cabana, pool and custom pergola. 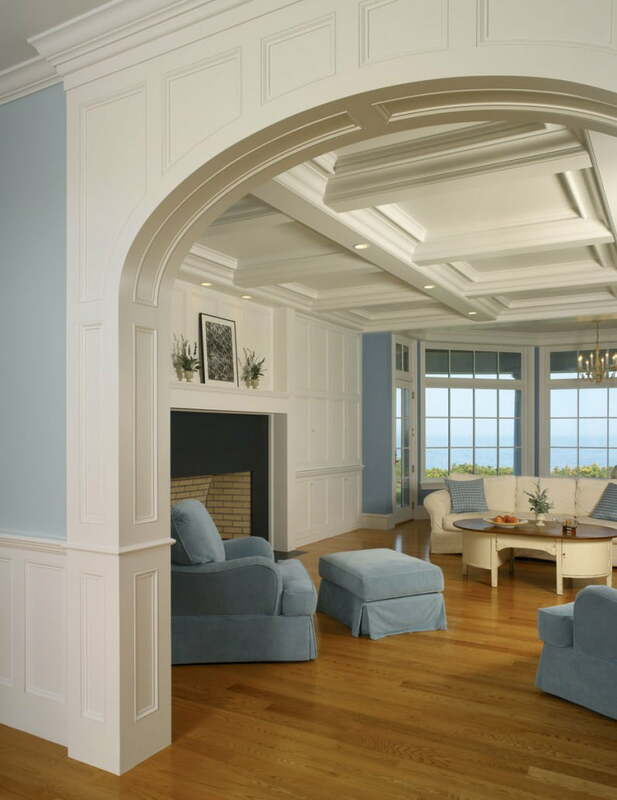 The coffered ceiling and archway used in the living room was designed in-house, fabricated in pieces off-site, then transported to be crafted on-site. 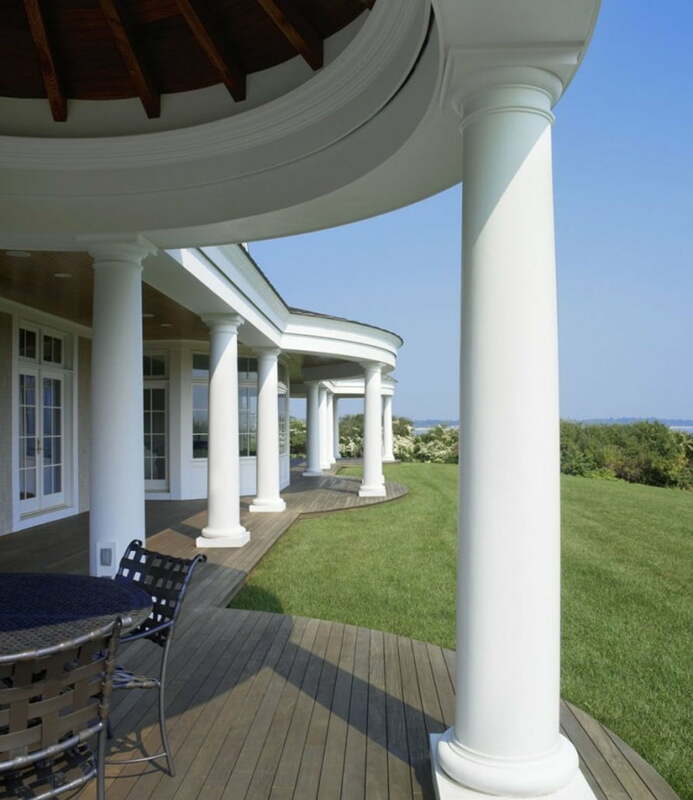 A 100' long deck with Tuscan-style columns runs the entire length of the oceanfront side. The roof, trim and assembly for the deck system was built off-site. Three bedroom decks were built into the porch roof. 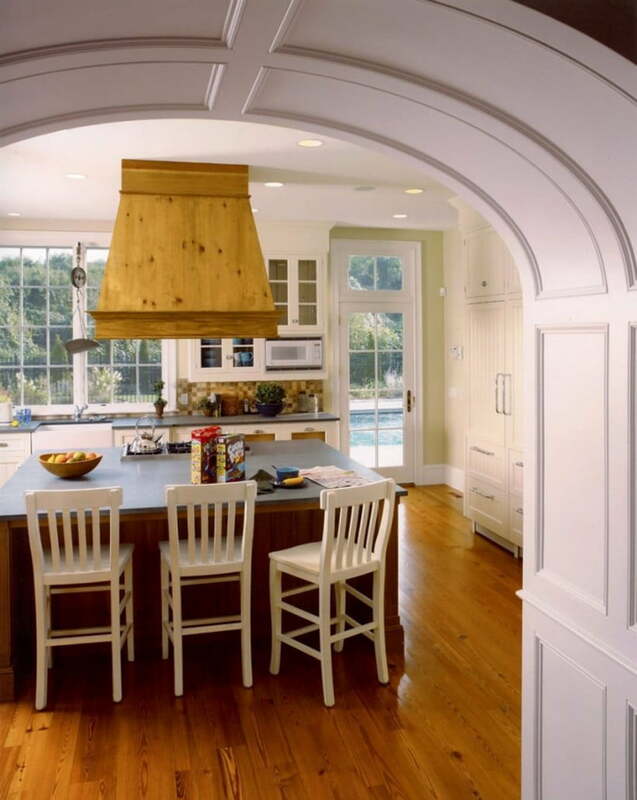 Another archway leads to the kitchen with a custom wood paneled exhaust hood over the island cooktop. A gunite pool with separate hot tub area and pergola covered tile deck is an oasis for the homeowners, but can become a fantastic entertainment area with easy access to the kitchen. The pergola provides shade to the sitting area and allows views of the decorative korbels and knees on the house and the ocean views beyond. 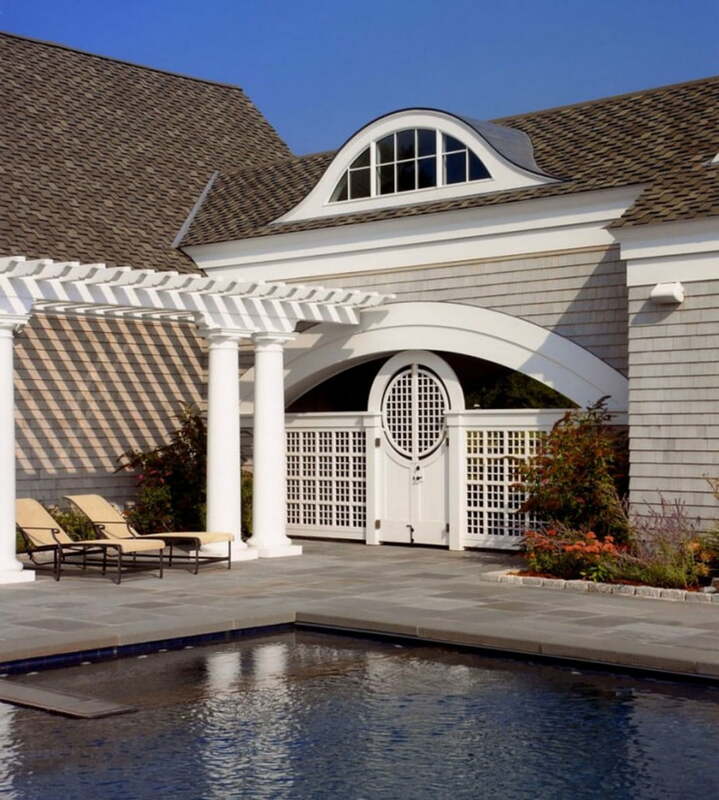 The eye-brow dormered walkway provides access to the guest quarters above the garage, while the intricate wooden gate allows access to the front of the home.